It’s been quite a while since there was a comet bright enough for beginners to look for and enjoy, but finally we have one. 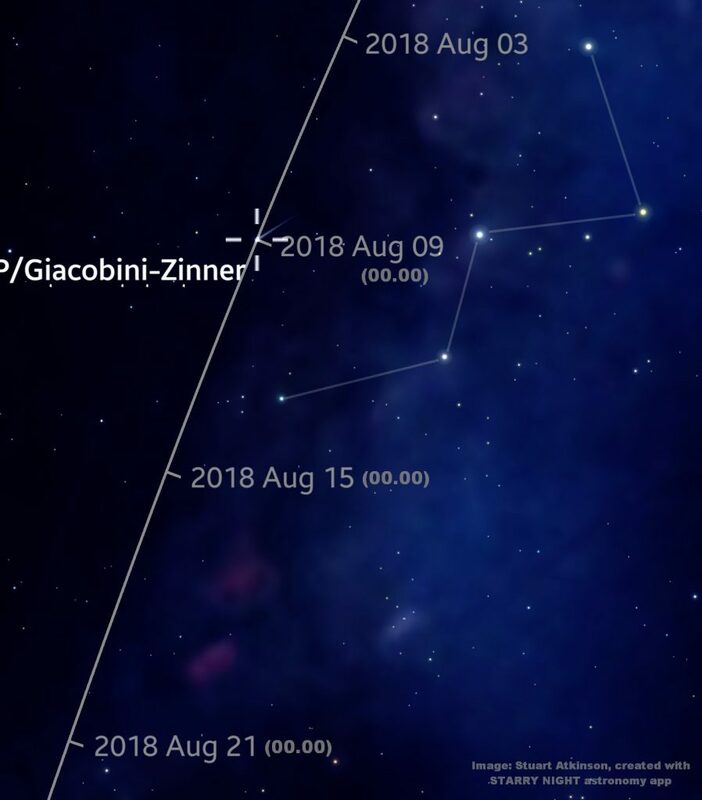 Comet 21P/Giacobini-Zinner is currently falling slowly through the constellation of Cassiopeia. 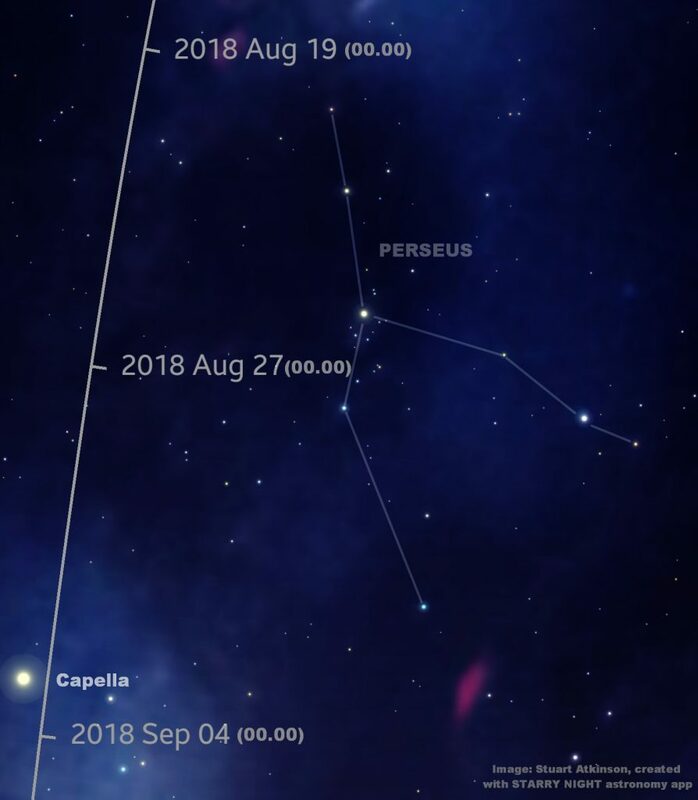 Although its magnitude of 9 or so means it is far too faint to see with the naked eye, if you have a small telescope or even just a pair of binoculars you should be able to pick it out from the background sky. 21P has an orbital period (the time it takes to go around the Sun, its ‘year’ if you like) of 6.5 years, and will be closest to us in mid-September when it will be just 0.39 AU away from us (an AU is the distance between the Earth and the Sun, roughly 93 million miles). By then it might, MIGHT be bright enough to be visible to the naked eye – we’ll just have to wait and see. 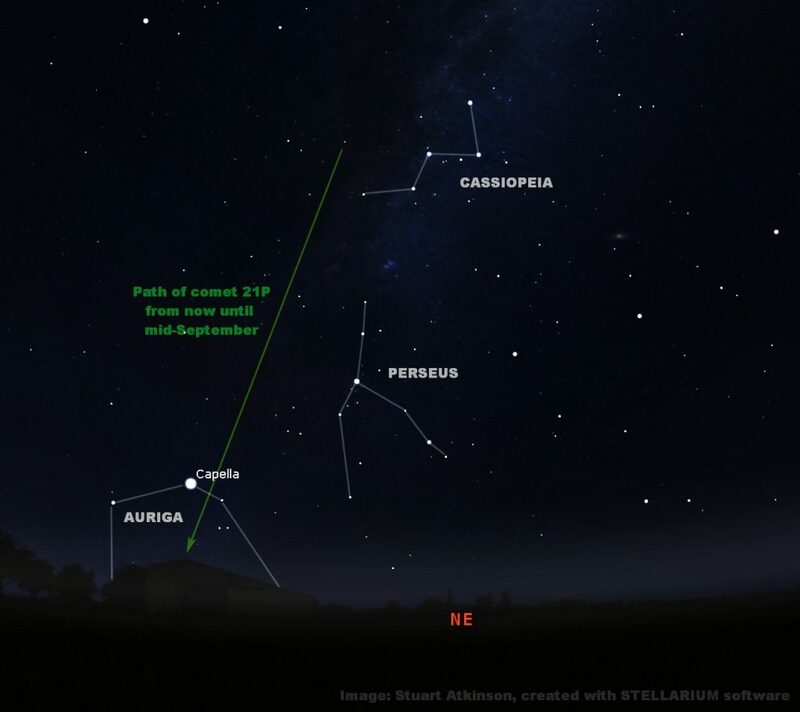 For now, if you want to see it you’ll need to track down the W of Cassiopeia, high in the north-eastern sky after dark (see below), and then zoom in on it with your binoculars or small telescope, using our finder charts here to guide you. 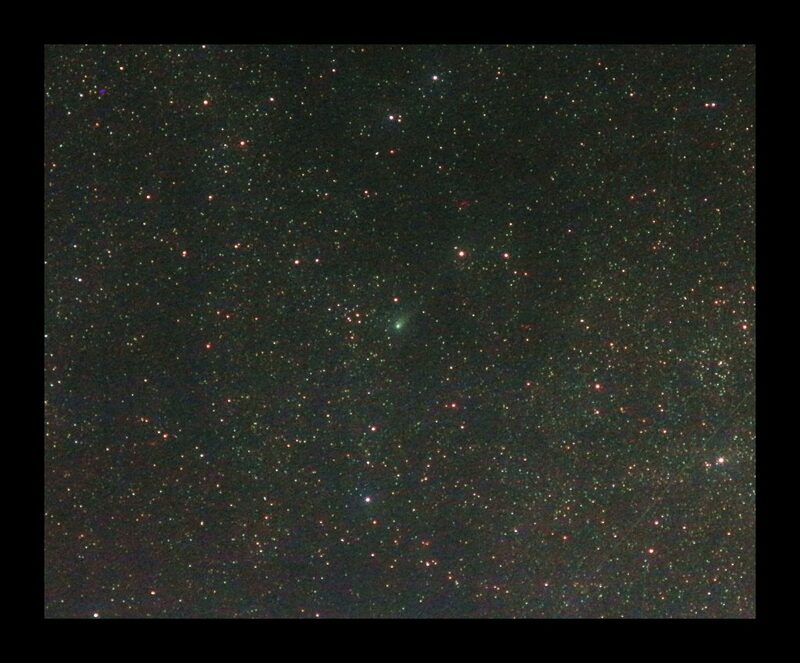 Don’t look for a bright, colourful, streaking comet like those you see in magazines, on websites or in films. What you’re looking for is something that looks like a small, out-of-focus star with possibly a faint hint of a green tinge to it. If you see something like that, you’ve found the comet. You’ll greatly improve your chances of seeing the comet if you’re under a dark sky, somewhere that doesn’t suffer from light pollution. 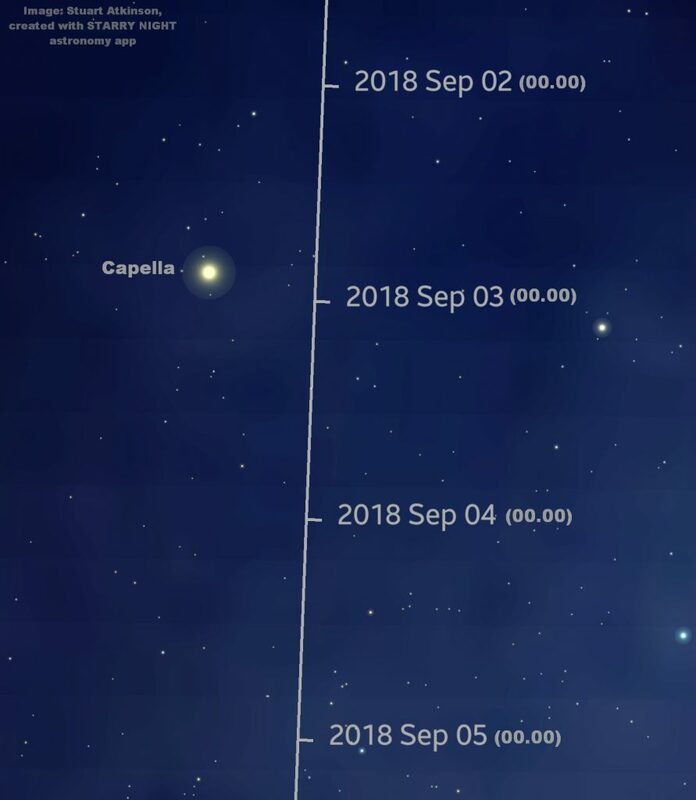 Here are some easy-to-use finder charts which will help you track down the comet in the nights and weeks ahead. If you spot 21P be sure to let us know. Good luck! I saw it for the first time yesterday. A report in some detail of my sighting can be found on the “Observing” section of the Forum. Regards mike a feist (on the south coast – Sussex). I have now put four sightings on the popastro forem of this comet 21P Giacobini-Zinner, made in the last few nights using small instruments -i.e. spotting scopes and binoculars- from the Sussex Coast. more details can be seen there. regards maf.